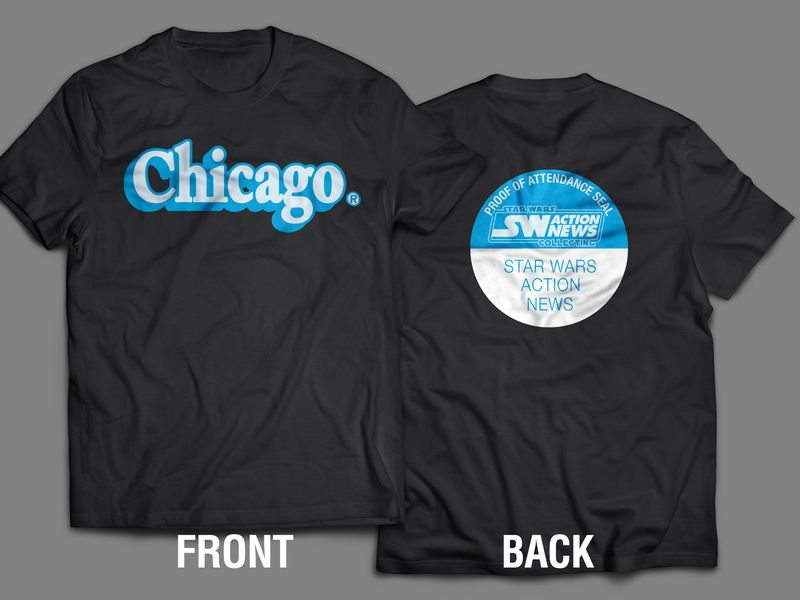 To commemorate Star Wars Celebration Chicago, the Star Wars Action News team will be wearing new Kenner-inspired T-Shirts. We are making a limited number of these available to fans attending Celebration Chicago, and a portion of the proceeds will go to support Toys For Tots this year! The shirt is only available for pick-up at Celebration, it will not be mailed. As they are made to order, any orders will be non-refundable as well. Pick-up times will be announced with a minimum of one pick-up time each day either in the convention center or at the Hyatt attached to the center. The shirt is $16 + tax for any size. Orders will only be available for one week -- until April 3. If you'd like to own this shirt, place your order below!